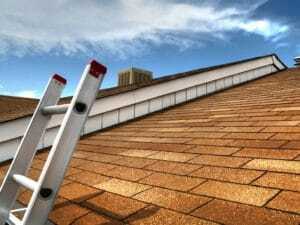 First of all, it is recommended to check your roof at least twice a year to know about any kind of issues. You can buy a good pair of binoculars and can inspect the structure of the house from outside. You can check for buckling, discoloration, missing shingles, and other defects. However, it is important to inspect the roof from inside too. You should check for signs such as discoloration caused by moisture, rotting wood, trails of water, cracking or bubbling paint or harmed finished or painted surfaces etc. Do You Need a Roof Replacement or Roof Repair? If your roof is compromised, then you must replace or fix it before it leads to mold, water damage or any other kind of an expensive headache. Repair costs are usually based upon the size of the repair needed as well as the kind of roofing material. Roofing Contractor Fort Lauderdale is always ready to provide you with an estimate as well as to suggest you on your all kinds of repair options. Though a roof that looks good but can be repaired, occasionally the economics of repairs make little sense above roof replacement. If you are looking for a company to provide you the service of roof repair in Fort Lauderdale then it is suggested to take recommendations from your friends or relatives and also check on the internet about them before choosing them.